It’s the Prohibition Era, the 1920’s and Al Capone is the man you don’t want to mess with! At East Side Marion’s Emerald City Night Club is having its opening night when all of a sudden…SOMEONE is gone! Dead! 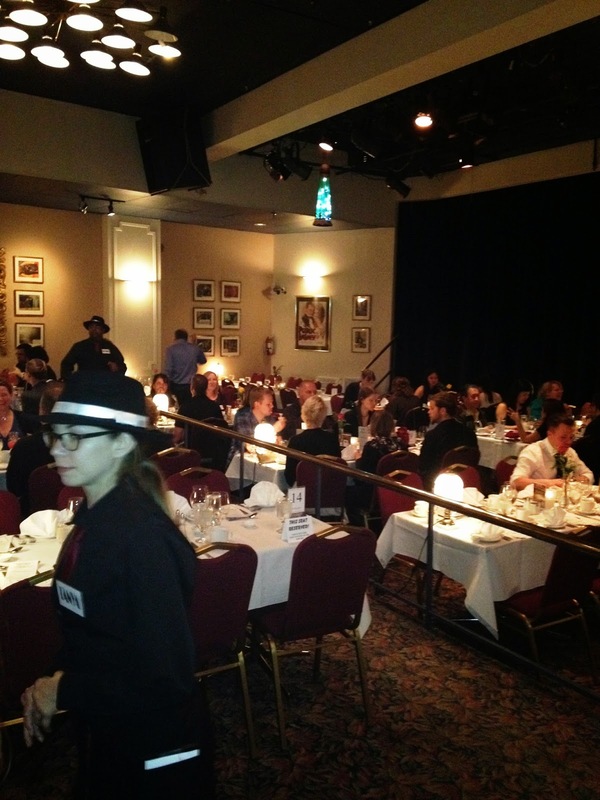 But the question is….#WhoDunItTO? 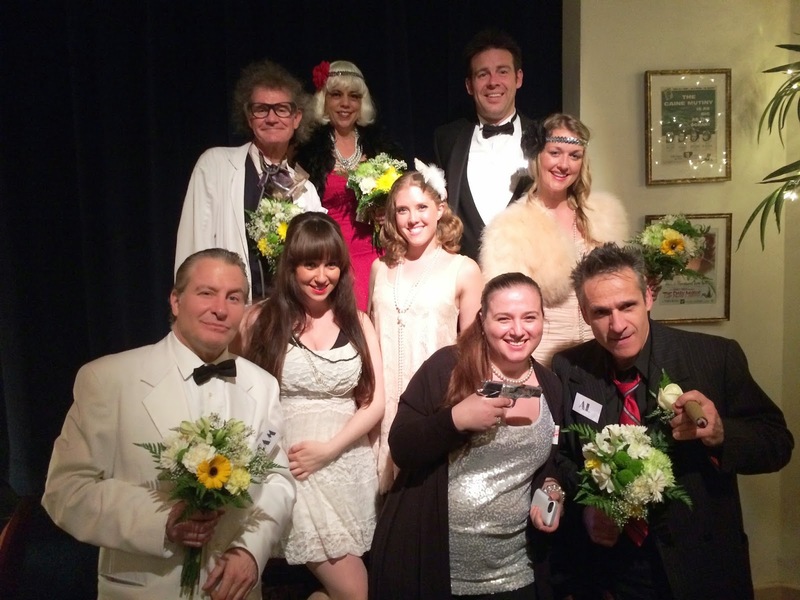 Flappers and Gangsters and Guns….oh my! 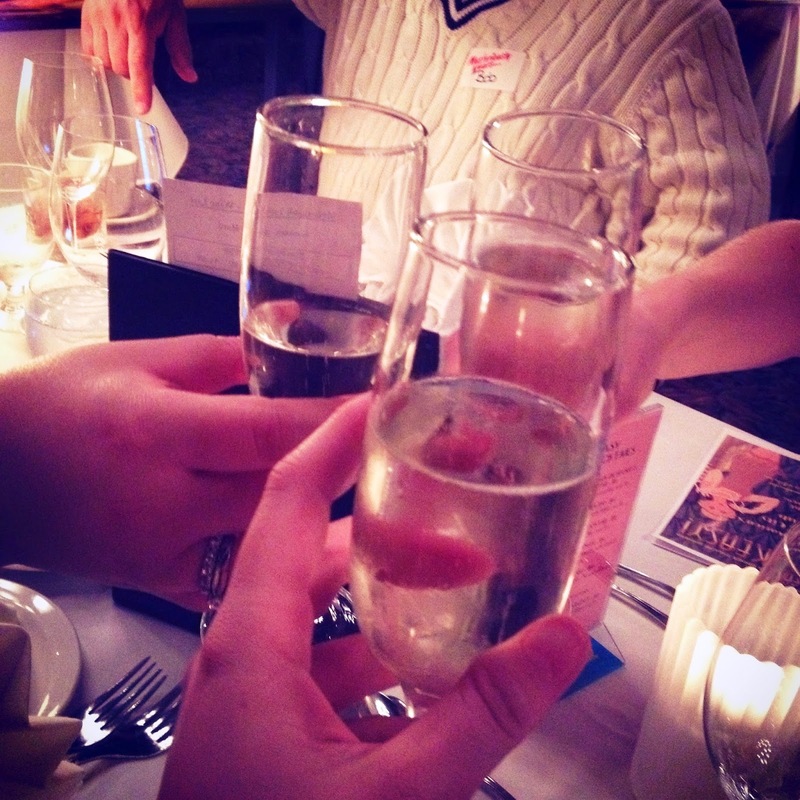 On Friday, I was lucky enough to be invited to the VIP Media Night at Mysteriously Yours. I have never been to this dinner theatre, and wasn’t sure exactly what to expect. Walking in I was shocked at just how large the venue was! It was beautiful. The walls were covered with images and beautiful mirrors, and the lighting set the ambiance perfectly. For dinner, we were offered a variety of choices between soup or salad, chicken, beef or salmon as well as tasty desserts. 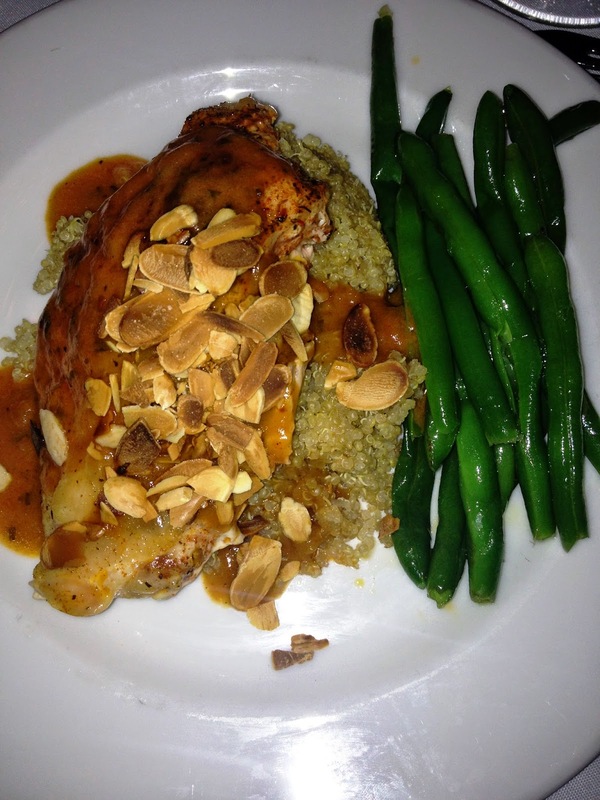 I opted for the Roast Breast of Chicken a la Rose with carmelized Dijon onions, roasted almonds in a rose wine cream sauce, served with quinoa and green beans. I was not disappointed! It was delicious. If cake is on the menu…JennJenn is partaking! 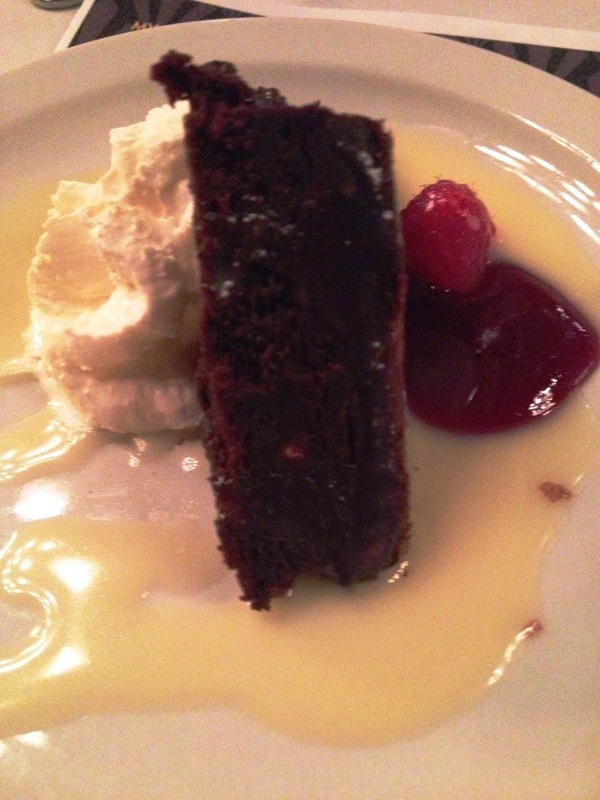 The chocolate cake was moist and delicious! One of the best parts of this #SpeakEasy show at Mysteriously Yours was the audience participation. The actors were eager to involve audience members, and that brought many laughs to the crowd. From a group of 10 year old girls being the Lollipop Gang, to my table with Jen, Christine and Bob being Real Housewives – audience participation is a great way to guarantee some laughs! Throughout the show, we are given background stories on each of the characters; little snippets into their lives and why they may have wanted each other dead. At the end of the show, we were given ballots and asked to guess who we thought the murderer was. I’m not going to soil it by telling you who the murderer was, but I will say – I guessed correctly! *self high five* The actors then picked a few of the correctly guessed ballots and gave the winners a gift bag. I would highly suggest getting some friends together and going to see a show at Mysteriously Yours. It’s something different; you are able to still talk and engage with one another, as opposed to in a movie theatre. You’re not in a loud bar with music blaring, but you have access to full bar service! On Friday night there were groups of people there celebrating different occasions, some were there for their anniversary, some were there for birthdays, there was even a group of young women there for a bachelorette party! 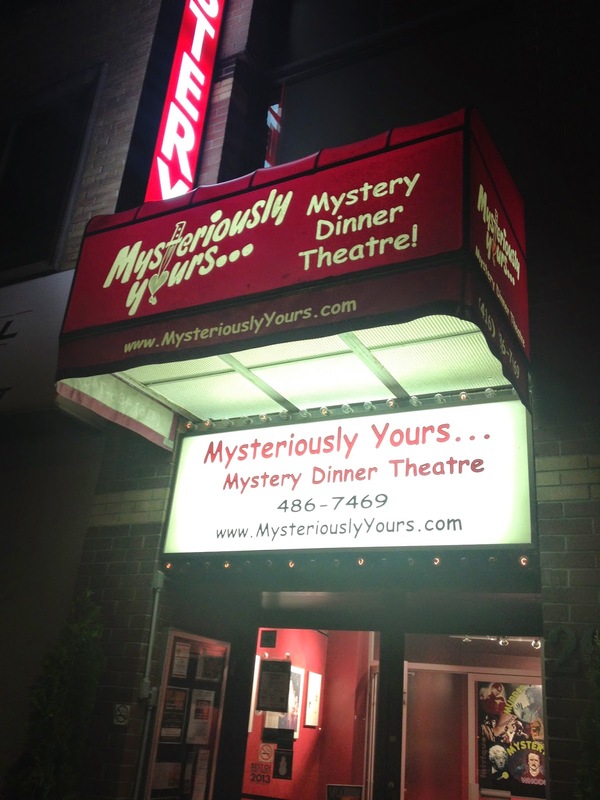 Check out the Mysteriously Yours website for dates and show times. Follow Mysteriously Yours onTwitter to stay up to date. Disclaimer: My dinner and theater costs were covered for this experience, however - as per usual, my views are my own and I really did have a blast!